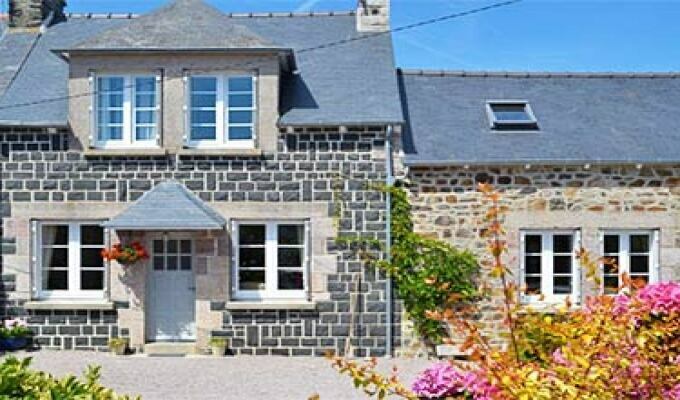 Bryzel is a two bedroomed bed and breakfast that sleeps 4 people located in a quiet countryside hamlet 1 km from the small market town of Pleneuf and 2 km from the coast. There is a choice of two bedrooms, one with a double bed and one with twin beds and there is a shared shower room. On the ground floor there is a lounge area with a sofa, armchairs and TV/ DVD for your use. Free wifi is provided and we are pet friendly. Off-road parking is available. Continental breakfast is included. Should you prefer, this can be served alfresco in the sunny south facing garden. Free tea and coffee making facilities are also provided. The property offers free Wifi and can be rented either as a self-contained holiday home or on a Bed and Breakfast basis.